TL/DR Executive Summary: For viewing 360 photos and videos, an HTC Vive is overkill, in my opinion, unless you want to set it up for a demo kiosk for a business. But if you enjoy playing games (even casual ones), a desktop VR system will provide you with a unique gaming experience that you can’t get on a non-VR PC or gaming console. Among desktop VR systems, HTC Vive is currently the only one that is designed for room-scale VR, which makes it arguably more immersive. Contrary to what I read about elsewhere, setting it up is actually simple and easy. The Vive is also more comfortable than I expected. Finally, low-cost VR-ready graphics cards are making it easier and more affordable to get a VR-ready PC for the Vive and Rift. It is true that most of the available games are not high quality, but there are enough games for the Vive that are worth playing. I’ve drooled at the Oculus Rift and HTC Vive ever since they were announced but I was discouraged by the high cost of a VR-ready PC (on top of the cost of a headset). I didn’t think it would be realistic to get one. Finally, I got to demo the Oculus Rift and Samsung Gear VR and was amazed. I ended up getting a Samsung Gear VR (reviewed here) and Samsung S6 (both were second-hand). Meanwhile, I got the Samsung Gear 360 (reviewed here), and I found that my laptop was taking too long to stitch and render 360 photos and 360 4k videos. I also preordered a Vuze 3D 360 4k camera, which I suppose would be even more processor-intensive, so I figured I needed to upgrade my laptop but was put off by the cost. However, I found an old workstation that worked pretty well at stitching and rendering (12 times faster than my laptop), at a fraction of the typical 4k editing PC setup. The performance jumped further when I added a NVidia GTX 750 Ti graphics card (it made it 60 times faster than my laptop at rendering 4k video). Meanwhile, AMD and NVidia released lower cost VR-ready graphics cards: the AMD RX 480 and the NVidia GTX 1070 and later the GTX 1060. I thought the incremental cost of a GTX 1060 over the GTX 750 Ti was palatable if it could work with a desktop VR system. I got the GTX 1060 and to my surprise, the HTC VR-readiness test declared that my PC was ready and capable of “high” quality VR. 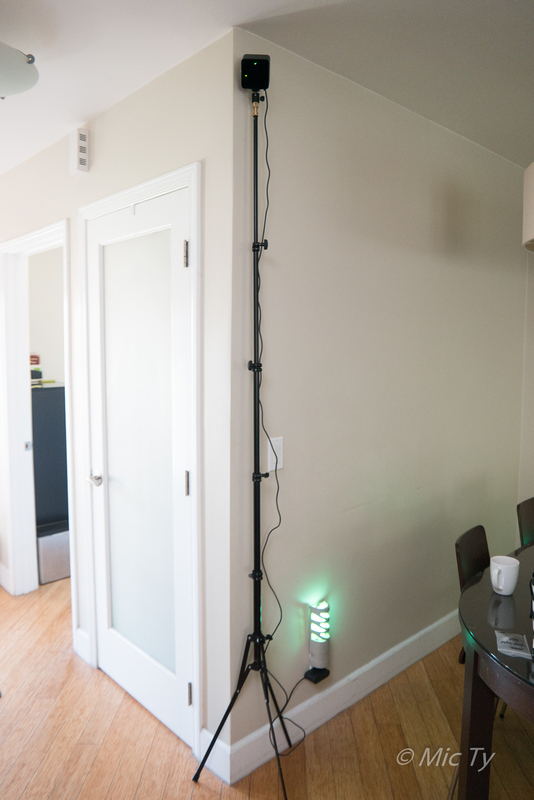 – Room scale: after I tried the Oculus Rift, I realized intuitively that I wanted room scale. Yes, the Rift will be capable of room scale (when the Touch becomes available), but it was designed for standing / seated VR. On the other hand, the Vive was designed for room scale. – Motion controls: when I tried the Vive, I found that having motion controls was very important. For example, I tried the Climb on the Rift, and it didn’t really appeal to me. In retrospect, if it had used motion controls, I probably would have liked it. By contrast, the simplistic Space Pirate Trainer was fun even though it was repetitive primarily because of the motion controls (and dodging, etc.). – Cost: Although the Rift headset is $200 cheaper than the Vive, I am guessing the Touch will not be cheap, and could put the total cost of a Rift (with Touch) at least equal to, if not higher than the Vive. – Requirements: It doesn’t need a USB 3.0 port. My old PC has only two USB 2.0 ports and the other ports are USB 1.1. The Rift needs three USB 3.0 and two USB 2.0. When the Touch arrives, it will likely need at least one more USB 3.0 port. I don’t want to have to install a USB card (and take up a PCI slot) if I don’t have to. Note: I’m by no means saying the Rift is inferior. It has some of its own advantages over the Vive, such as being more comfortable, and having the support of Facebook. I also like its software library. There’s good news and bad news. The good news is that it really is possible to get a VR-ready PC for less than $600, thanks to the new low-cost VR-ready cards. If your desktop PC has a processor and RAM that meets the specs, then you can probably make it VR-ready just by adding an NVidia GTX 1060 or AMD RX 480. If your PC doesn’t meet the specs, or you’re using a laptop, you can get a ~$250 workstation that meets the processor and RAM requirements, then add a graphics card, or you can get a brand new, complete VR-ready PC for $720. In my case, I got a Dell Precision T3500 with a Xeon W3565 quad-core processor and 15GB RAM. After I added a GTX 1060, the HTC VR-readiness test said my PC was VR-ready. I was a little skeptical and feared the worst, partly because I was surprised that an old PC could perform that well, and partly because the Oculus VR-readiness test disagreed said that my processor didn’t meet the requirement. However, it does work indeed. I tried it on several apps and games, including the NVidia Funhouse, which is intended as a graphics card torture test. It worked well, with only occasional judder for a second or two during loading screens. I also tried it on some Oculus apps and games, and it also worked notwithstanding the warnings I got from Oculus. While it was easier than I thought to qualify as VR-ready, the space requirements were bigger than I expected. I thought if I moved our living room sofa, I would have plenty of space. It turns out that space was barely enough for the required 6.5 x 5.5 feet. Part of the issue is that even if you have more than 30 square feet of space, the requirement is more like a minimum length and minimum width. If, for example, you have 9 feet x 5 feet of space, that will be considered inadequate for the Vive’s room scale VR, because the shorter side of your space is less than 5.5 feet. Note: There is no minimum for a standing/seated configuration. It used to be that you had to wait a while to get the HTC Vive. 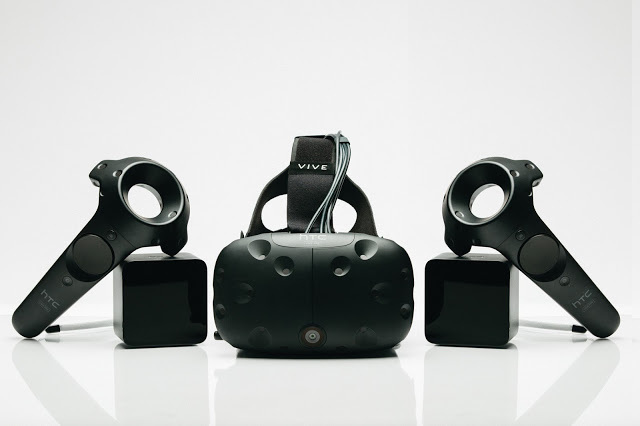 Now, the HTC Vive is available from HTC directly, from Microsoft, Gamestop, and Micro Center stores. I considered getting a used one but thought that the small savings were not worth losing the warranty and in some cases, not having the bundled software as well. 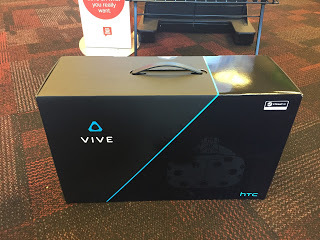 I got my Vive from a nearby Gamestop that had it in stock, so that I could earn rewards points (16,000), which is good for a $15 gift certificate if you have a Gamestop Pro (if you don’t, the Pro membership is $15 per year, so I guess it is like getting a free upgrade to Pro membership). Update: the HTC Vive is now available directly from Amazon (not an Amazon reseller) with free Prime shipping! If I had to do it again, I would buy from Amazon because of their customer service and return policy. Note: the Vive that I got came with the older bundle (Tilt Brush, Fantastic Contraption, Job Simulator). I don’t mind it because the Zombie Training Game in the new bundle is similar to Space Pirate Training which I wanted to buy in any case. I also thought my kids would enjoy Job Simulator and Fantastic Contraption. The Gallery looks interesting but if I had to choose which one to get for free, I would prefer Fantastic Contraption because it’s more unique and it costs more to buy separately ($39) than the Gallery ($29). Yes I did let my kids play, even though at demos, they usually warn that VR is not for children under 13. Obviously, I wouldn’t let them play something like Brookhaven Experiment, because anything in VR becomes more intense, and I’m sure it would give them nightmares. But there are games like Tilt Brush and Fantastic Contraption that I think can improve their spatial intelligence. The games can also give them a good workout, and I believe motion-controlled games can improve their physical awareness and coordination. Anyway, that’s my opinion. The box was smaller than I expected, but only because I kept hearing about how large the box is. Actually, the box is not that big. It’s only a little larger than the size of a box for a game console, or a little smaller than the box for a desktop PC or a DJI Phantom quadcopter. It was heavier than I expected though. I appreciate that the box is sturdy, neatly compartmentalized and well padded. I use it as a storage case for the Vive. The headset feels very well made, although I’m not fond of its aesthetics, to be honest. The Vive headset is dotted with sensors that to me make it look a little too sci-fi for me, like something from a mad scientist’s lab. Besides adjusting the strap, the headset can be customized in several ways. First, the interpupillary distance can be adjusted with a small knob on the bottom right side. A digital indicator appears in the headset display to help each user remember his or her desired setting. Second, the focus can be adjusted for each eye by pulling out and rotating the lens distance knob on each side of the headset. There are markers on each side of the headset to help you remember your setting. Third, you can choose from two included face masks for a narrow face or wide face. The headset is somewhat heavy because on the Vive, the headset senses the controllers and the lighthouse base stations. With Oculus Rift, the headset emits the signal, and the sensors act as receivers. 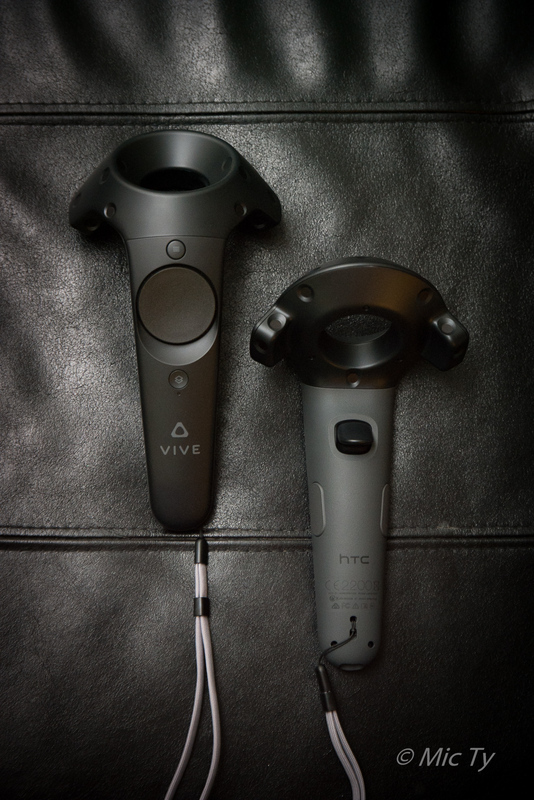 Because the Rift’s headset only needs to emit a signal, it is lighter than the Vive’s headset. Moreover, the Vive needs a three-in-one cable for the headset, while the Rift has a thinner cable. However, during actual play, I didn’t mind the weight. 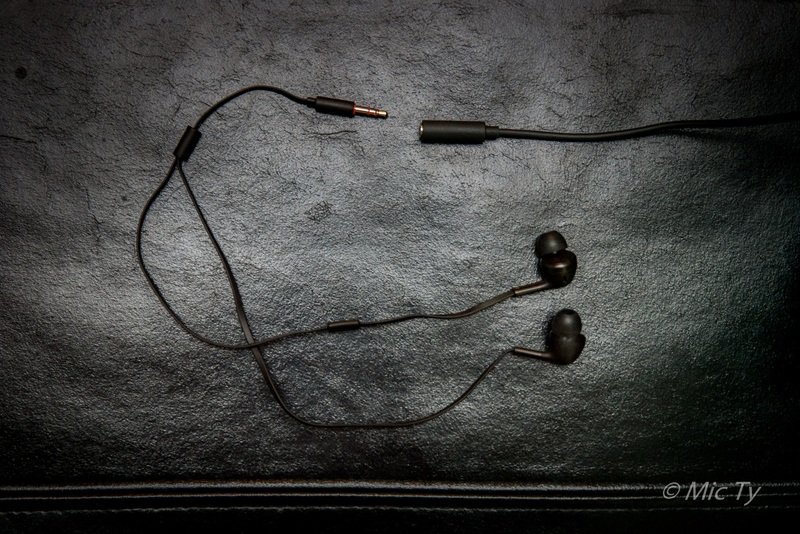 In addition to the three-in-one cable, the headset has a cable for a headphone jack. The Vive includes a pair of good quality earbuds, with a very short cable, so the cable won’t get in the way. The Vive comes with a pair of motion controllers, sometimes called wands. They are wireless and the only time you need to hook them up is when charging (btw, they come charged). The controllers have a distinctive ring that is lined with emitters, which enable the headset to determine their position accurately in 3D space. They feel very light and comfortable to hold. The controller has a trackpad that can also be pressed. By sensing the position of your thumb when it is pressed, the trackpad can be used as a directional pad or to simulate multiple buttons. You can see the controllers in VR in real time, and the virtual representation of the controller shows a small dot where you are touching the trackpad, which enables you to press it with precision, such as choosing a specific color in a color wheel. The controller also has a trigger, two grip buttons on each side, a menu button above the trackpad (for the in-game menu), and a system button below it (for summoning the Vive’s main menu; also acts as a power button). The “far” grip button is pressed with the middle and ring fingers. The “inside” grip button is a little awkward to press. Fortunately, I have yet to encounter a game that uses the grip button (other than the tutorial). I suspect the grip buttons are interchangeable and are intended to simulate your hand grasping something. The controllers each have a wrist strap, which has gotten mixed reviews, with some users wanting more sturdy wrist straps. Bumble suggested using sturdier Nintendo Wii straps instead. The controllers are rechargeable via Micro USB. The Vive supplies a pair of USB charging adapters for the controllers, although any Micro USB charger should work. The link box is the breakout box for the headset. 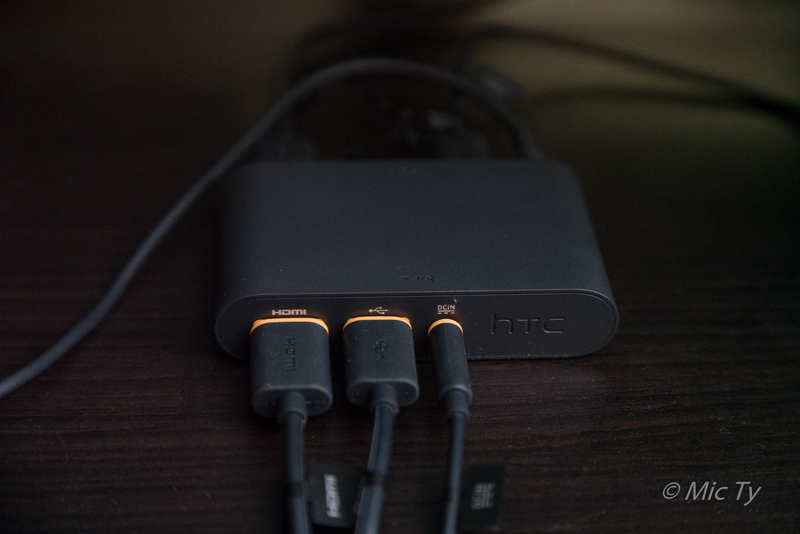 The three-in-one cable of the headset plugs into three orange-colored ports – HDMI, USB, and AC power. The other side of the link box also has an HDMI, USB, AC power, and a Mini Displayport. An HDMI cable, USB cable, and of course AC Adapter are included. 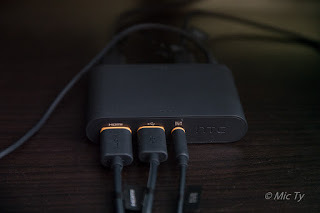 HTC recommends connecting the link box to a USB 2.0 port on your PC (instead of a USB 3.0 port). The HDMI connects to the HDMI on your graphics card, so you need to have a spare HDMI port on your card. Alternatively, you can connect the link box to your card with a Mini Displayport to Displayport cable, although that cable isn’t included. The Vive includes a pair of base stations sometimes called lighthouses, which emit signals for the headset to identify its own location. The base stations are a little heavier than they look and are about the size of small computer speakers. They are powered by an AC adapter. They don’t need to be connected via USB to your computer. When the base stations are plugged in, they vibrate slightly because there is a spinning laser beam inside (animal safe). Before I got the Vive, I kept reading complaints about how complicated the setup was, with photos of all the cables and accessories in a jumbled mess to try to prove the point. The fact that HTC offers an installation service (for $250) seemingly underscored the difficulty of setting it up. But I watched the setup video, and it seemed pretty simple. I thought the video must be trying to make it look easy (like in some DIY repair kits). I kept researching problems with the Vive setup but didn’t find any gotchas. Finally I thought, to heck with it, and just got the Vive. And it turned out that it was exactly as simple and easy as it was in the setup video:1. Install Steam and get a Steam account.2. Install the Vive setup software and run it.3. Set up the base stations and plug them in. 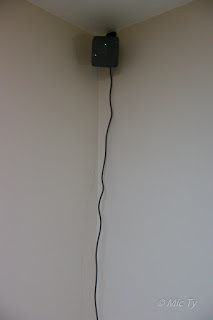 The base stations need to be placed at opposite corners of the play area up to 16 feet from each other, and they need to be able to see each other in order to sync. If you have a ceiling fan or some other obstruction between the base stations, you can use the optional sync cable (included) to connect the base stations to each other.HTC recommends having the base stations above head height, then tilted down about 30 to 45 degrees. The Vive includes a ballhead wall mount for the base stations, but the base stations also have universal 1/4-20 tripod sockets behind it and below it, for mounting on a tripod or other stand. Instead of a tripod, I recommend a light stand, which is usually taller. I used a 7.5-foot Manfrotto Nano stand, although there are cheaper clones available. 4. Attach the link box to the PC (HDMI or Mini Displayport to the graphics card; and the USB to a USB 2.0 port on your PC), and plug in the AC adapter for the link box. 5. Connect the headset’s three-in-one cable to the link box. – choose between room scale or standing / seated. – turn on each controller by holding down the system button. – point one of the controllers at your monitor and hold down the trigger button. Note: the direction you point to will be designated as the rear, while the opposite direction (away from your monitor) will be the front. This way, the headset’s cables will be behind you. – put the controllers on the floor to calibrate the floor. – trace the border of the play area with one controller while holding the trigger. Alternatively, check the box for Advanced Mode, in which case you just click on the corners of the play area. Note: if you have an irregularly shaped play area, the Vive will just find the largest rectangle that will fit the area. It’s one reason why the Advanced Mode is generally more efficient. 7. You’ll be asked to wear the headset and go through the tutorial. The tutorial introduces you to the chaperone boundary system, and the controllers. That’s it. Not hard at all. If anyone in Los Angeles finds it hard to set it up, I would gladly do it for them for $200 — save $50 over HTC’s installation service ;-). The only hiccup in my case is that one of the controllers didn’t pair up out of the box. To fix it, I just had to click on the grayed out icon of the controller, then click on “pair.” It also asked me to update the firmware of that controller (just connect it to a USB port, then it will do the rest). The controller then paired up with no other issues. After going through the setup, the next time you want to use Vive, just plug in the base stations, connect the headset to the link box, then launch Steam VR. To run Steam VR, launch Steam then click on “VR” on the upper right corner to launch Steam VR. Alternatively, if you want to have a Steam VR icon on your desktop, install the Vive Software Installer, in which case you just need to double click it to run it. Switching games is easy. You don’t have to remove the headset. You just click on the system menu button below the trackpad, use the controller like a laser pointer to choose the game you want. That’s it. Really simple. Where to put the Vive? You need to put the Vive in an area that has at least 6.5 feet x 5.5 feet of space. In my case, I chose to put the Vive in the living room, just because that’s where we have more space. If you want to be able to continue using the PC in your office, you can use Chrome Remote Desktop. You can launch the Vive by launching Steam VR (if you installed the Vive Software) or from within Steam (by clicking on the VR icon on the upper right corner). Similarly, you can launch apps either in VR from the System menu, or from Steam on your desktop PC. The headset is front heavy but still feels comfortable. I’ve been able to play two hours straight with no discomfort (can’t say the same for the Samsung Gear VR, which hurts my face after about 1.5 hours). One issue is that when looking down, the headset’s weight can pull it off slightly from my face, making it slightly blurry unless I hold the headset to my face. If the straps are snug, this is less of an issue. But otherwise, the weight is a non-issue. My neck didn’t feel sore either from playing for a couple of hours straight (nor did it feel sore the next day). Another issue is perspiration. The face mask can get wet from perspiration, which is absorbed into the foam (ewww!). I ordered replacement face masks, which have a non-absorbent outer cover (they come as a pair). For now, we alternate between face masks to allow the other one to dry off. When I tried the Vive headset at a demo, I found there were light leaks beside my nose. 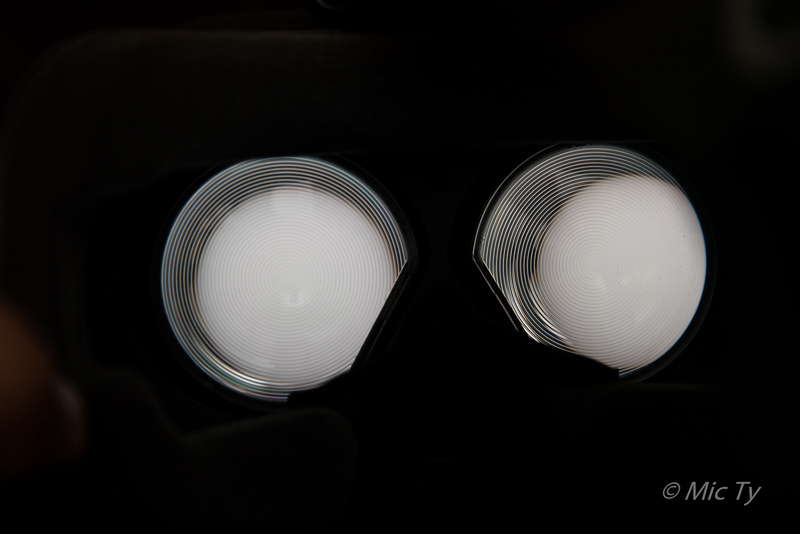 However, when I used my own Vive headset, there were no light leaks as long as I used the wide face mask. With the narrow face mask, there was a slight light leak on either side of my nose. Even with the narrow face mask, I didn’t notice the light leak while playing. 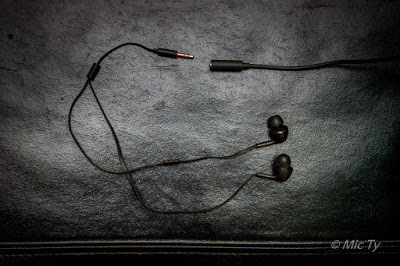 Besides these minor issues, the headset performed superbly and tracking was accurate. I was also impressed that it didn’t get occluded even if there were people walking around the player. 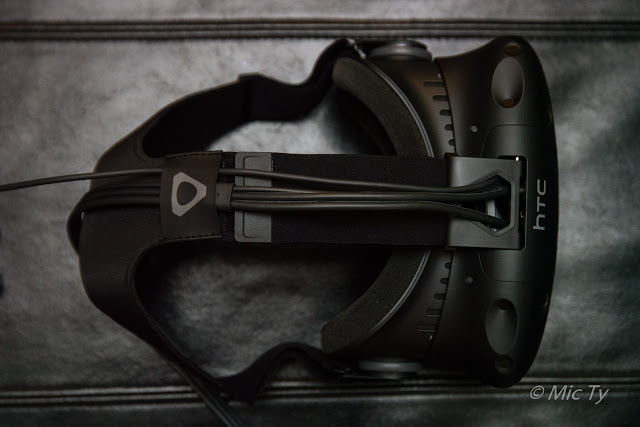 In terms of optics, the Vive headset seems to provide about the same field of view as the Rift. The resolution of the display is pretty good. Yes it is possible to see the individual pixels but in actual game play, this is a non-issue. I speculate that those who would be most bothered by the “screen door effect” are PC gamers who are used to playing at 1080p or 1440p. One issue is that when the display is showing something very bright, you can see a faint reflection around the edges that shows the concentric rings of the Fresnel lens. One of the features of the Vive is that it has a system to help the player avoid running into objects. 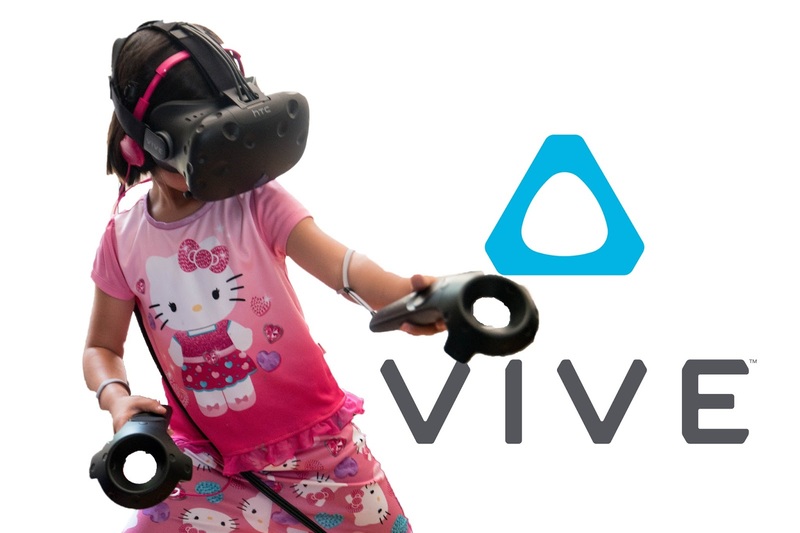 The Vive has a ‘chaperone’ system that warns the player if they are approaching the boundaries of the play area. When the player goes near the edge of the play area, or brings a controller near the edge of the area, a virtual fence becomes visible. The visibility and color of the fence can be adjusted in the settings. The other way the Vive protects the player is by using its built-in camera to supplement the chaperone system. By default, this feature is inactive. When activated through the Settings, the headset will show a rough outline of the ‘real world’ whenever the player approaches an object. There is also an option to show a miniature screen beside the controller with a live view of the ‘real world’ in the System menu view. The chaperone is works very well for preventing me from running into a wall. However, the camera is not as dependable, and sometimes the outline of objects doesn’t show up for a little while. The motion controller tracks very accurately, with very little lag. Furthermore, the controllers are rarely occluded from view. I also like the feel of the trackpad and the buttons. The batteries last a long time (several hours). There’s a battery level indicator on the virtual representation of the controllers. In some apps, the virtual representation also has a drawing of a hand, showing which one is left and which one is right. There are hundreds of games and apps for the Vive (almost 500), although many of them are “early access” (i.e. unfinished software). I tried some games for the Vive: the Lab, NVidia Funhouse, Space Pirate Trainer, Tilt Brush and Trickster VR. The Lab: Valve’s demo app for the Vive. It includes several games and VR experiences. There’s a VR experience of exotic vacation spots, a magical shop, a robot repair facility, a 3D body scan, and a solar system with sizes to scale. It also has several games; a space shooter, a giant slingshot demolition game, an archery game. NVidia Funhouse: this is a free collection of minigames from NVidia, intended to test your PC’s graphics capabilities. The low setting is for a GTX 980 Ti, GTX 1060, or GTX 1070. The medium setting is for a GTX 1080. The high setting is for a GTX 1080 with a separate GTX 980 or better just for PhysX. Space Pirate Trainer: in this game, you wield two guns and take on wave upon wave of robot drones, while dodging their attacks in bullet time. Tilt Brush: paint with light in 3D. ’nuff said. Trickster VR: an adventure in which you use a bow and arrow to defend a magic portal from an onslaught of orcs attacking from all sides. Unlike other similar games, in this game you can move around by ‘teleporting’ from one place to another for the best angle for defending against an attack. All of these games were fun in a unique way that is simply not possible on anything other than VR. Most of these games were games that I wouldn’t have cared about if they were in non-VR. But because they were in VR and they used motion controls, they were much more immersive, engaging and fun. Moreover, compared to Samsung Gear VR, the Vive’s positional tracking created a far stronger sense of presence, and made the games even more enjoyable. For example, the Gear VR has an archery game called Archer E. Bowman, which has the same fundamental concept of using a bow and arrow to defend a castle from waves of enemies. I enjoy playing it on the Gear VR. However, compared to Archer E. Bowman, the Lab: Longbow and Trickster VR are far more enjoyable. Similarly, I got to try Sketchfab, which is also available for the Gear VR. With the Gear VR’s head tracking, I could look around but not approach objects. In the Vive, I could walk around, crouch down, etc. In almost all cases, I never felt even a hint of nausea. I also let my kids try the Vive, and they didn’t feel any nausea either, as long as we played room-scale VR games. For comparison, I tried a game that was for seated/standing VR, namely InMind VR. It’s a game that’s also available for Samsung Gear VR. In this game, you ride a miniaturized ship through a patient’s brain, shooting diseased neurons. It’s an on-rails shooter and you play it while seated (or standing) while the background moves around you. I did feel about the same nausea as from the same game on the Gear VR. One thing I appreciate about the Vive is that the games are on Steam, and Steam has a forgiving return policy. If you buy a game and end up not liking it, you can return it. In the Oculus store, you can’t return games. I also tried the Vive with some Oculus Rift games using Revive. Installing Revive is now pretty easy, with an executable file available (no need to compile it anymore with Visual C++). Just install Oculus Home before Revive, then run the Revive executable file. You only need to do that once. Thereafter, the Revive tab will appear on your System menu. [Incidentally, there were some games that I had purchased for the Gear VR and there was a Rift version, such as EVE: Gunjack or CastleStorm VR but I would have to purchase it again.] I tried Lucky’s Tale, Mountain Goat, Oculus Videos, Oculus Dreamdeck and Sketchfab. All of these games and apps loaded fine on the Vive despite the warning in the Oculus Home that my hardware did not meet the specifications. I couldn’t get Oculus 360 Photos to work though, even though the Revive page says it’s supported. One issue with Rift games on the Vive is the compatibility of controllers. Some Rift games require the Oculus remote (e.g. Dreamdeck). That’s the easy case – all you have to do is turn off one of the Vive’s controllers. 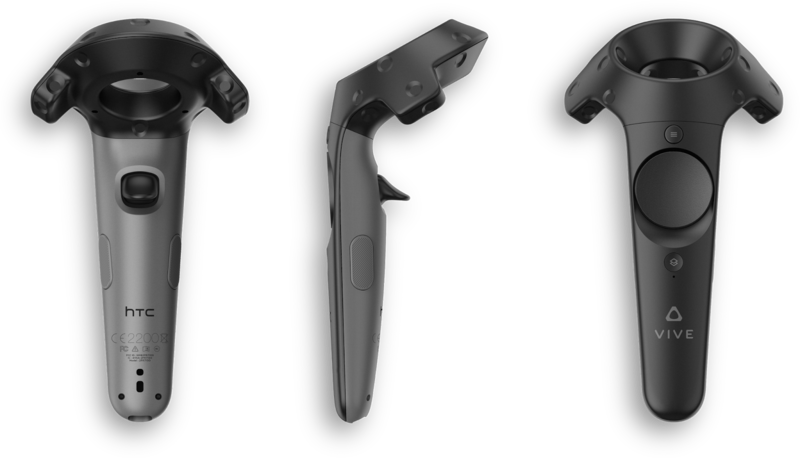 The remaining controller’s trackpad then acts as the clicker for Oculus Remote. For Rift games that require a gamepad, such as Lucky’s Tale, I unfortunately wasn’t able to successfully connect my Xbox 360 controller to try it out. I plan to try another wired Xbox 360 controller to see if I can play these Rift games. I also tried using the Vive to view 360 photos and videos. Strangely, there is no built-in app in the Vive for viewing 360 photos and videos. Instead, you can use an app called “Virtual Desktop” ($14.99 on Steam). In my case, I used the Oculus Video app to test viewing 360 videos. I thought that viewing 360 photos and videos would be identical as when viewing on the Gear VR. Instead, I found there was a slight difference. Positional tracking continues to work when viewing on the Vive, although the movement is very small. The effect is like being very small, while the people in the videos seem far away. Software. Although there are hundreds of VR games and apps for the Vive, many of them, perhaps even a majority, are unfinished and/or are of low quality. On the other hand, I think there are “enough” good games for it even now. This is also mitigated by Revive, which allows the Vive to play some Oculus Rift games. I hope that over time, there will be a better library for it. Not spouse-friendly (unless she’s a gamer). You’ll need to find space for your desktop computer if you move it to the living room. 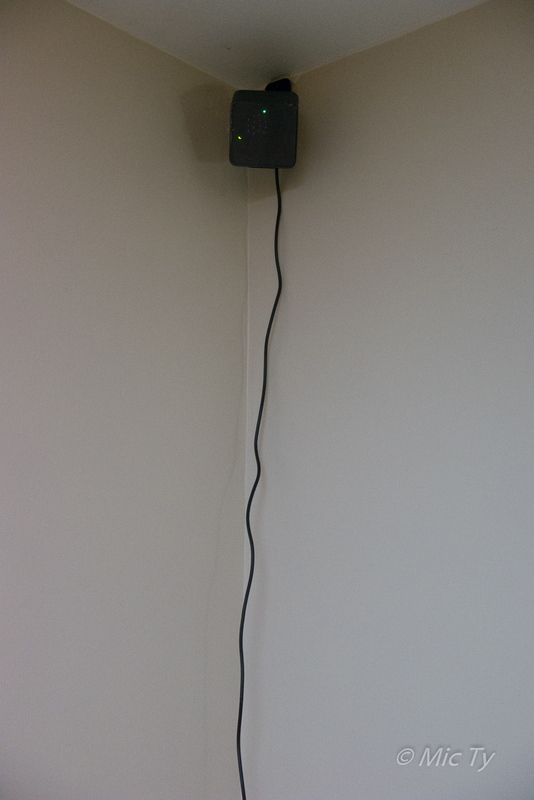 In addition, the all-black base stations tend to stick out, especially if you have light colored walls. I try to mitigate this by returning everything in the box (except for the mounted base station) every time I use it. Yes, I set it up every time I use it (including moving the sofa) — that should give you an idea of how easy it actually is to set it up and disassemble. Cables. The headset cables can take away some of the immersion when you have to step over them. Some users have actually tripped over the cables. Fortunately, my kids and I haven’t tripped over the cables (yet). I also watched my kids and even though I never said anything about the cables, they were able to step over them. Nonetheless, the cables do bother some users. In this regard, one possible solution may be the Virtuix VR Boom, but it’s not yet available. Sweat. Playing with the Vive can make you perspire, and the sweat is absorbed by the face mask foam, which is gross, especially when sharing between users. I ordered a replacement face mask which has a non-absorbent outer cover. I also found a cotton cover on eBay (I plan to use both). Cost. Although the cost of a VR-ready PC is decreasing, the HTC Vive still costs a lot of money. I would say however, that it is a good value even at a higher cost than any console because any game consoles or PC setup could not create an experience that is remotely like what you can get with VR. It’s like comparing a plane to a car. Sure, you can get an exotic car that might even be faster than a small plane, but there’s nothing you can do to a car to make it fly to another island. Desktop VR systems with positional tracking – including HTC Vive, Oculus Rift, and Playstation VR — all offer amazing immersive experiences. Among them, HTC Vive stands out as the only one so far that is designed primarily for room-scale VR, which I believe makes it more immersive. Granting that it is incredible technology, one still has to wonder if it is worth the somewhat high cost. 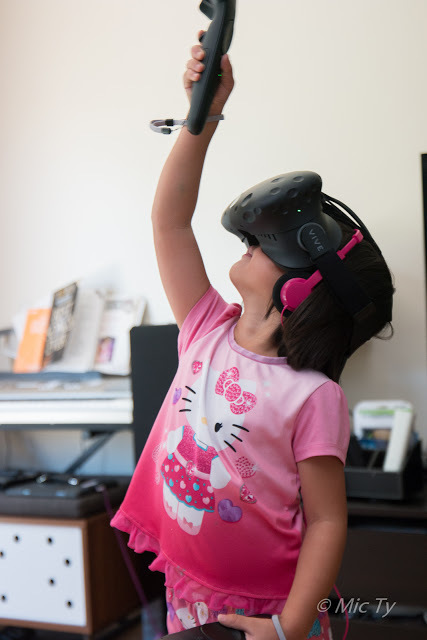 Although VR has applications for education and other fields, I think the primary use for the HTC Vive is currently still for games. For 360 photos and videos, it is overkill, and a Gear VR is more than sufficient for that (unless perhaps you want to setup a demo kiosk for your business). Therefore, I believe that whether it’s worth the cost turns upon whether you like playing games or not. If you don’t, then you probably wouldn’t use the HTC Vive much and it will eventually just gather dust. 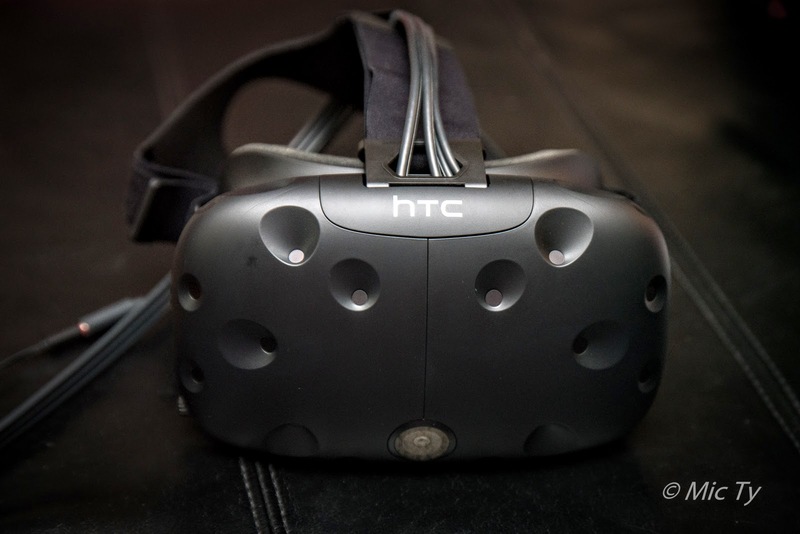 But if you do enjoy games (even casual ones), then it doesn’t get better than the HTC Vive. Non-VR gaming systems cannot compete with it. And among other desktop VR systems, it is currently the only one designed for room-scale VR and is therefore arguably the most immersive.If you found this review helpful and would like to purchase the Vive, please consider purchasing through our Amazon affiliate link, which will support 360 Rumors at no additional cost to you, so we can continue to do independent reviews and tests. Thank you very much!